Congratulations - A very impressive build, Carlos! I can see that you use springs as locking mechanism for the rear arms. But what kind of locking mechanism do you have for the front arms so that they don't collapse midair in flight? Also, how did you scale the model up to 135% while maintaining the wall thickness of the shell? Would you mind sharing your .stl files with us? Can see the video now. Very nice. How about some onboard footage? The stl files iI use it's the ones on download zone, I only used mexmixer to fill some holes and I have scale it on Cura up to 135%. If I can help more, let me know! Could you tell me , the autonomy and then distance you can use the video ? - Replacement of the 4 ESC X-rotor 20A by a Racestar V2 4 in 1 20A - Allows to save a lot of space and reduce cabling that made access difficult and was causing many electromagnetic interference in the navigation system. - Change of Gimball by one with better support and less subject to vibrations. I think I am now finished building my Mavic Clone. Hello Carlos. Your 135% Mavic clone is beautiful. You have inspired me to build one like it. 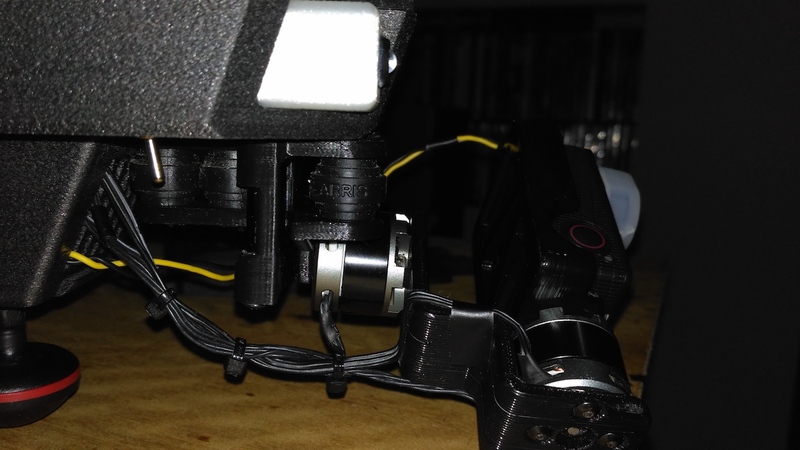 I am in the final stages and want to know what motors you decided to install on your quad? I am using a Raspberry Pi and Navio+ as the brain of the unit. It will be a programmable robot that can be controlled by remote also. Thanks. Looking forward to your response. Hi! I hope you are having fun with your project. I have installed a new T-motor 5th anniversary series motor. They have 980kv. I get up to 25 minutes of flight with a 5200 battery. It's great! I have also a 4 in 1 esc 20a. 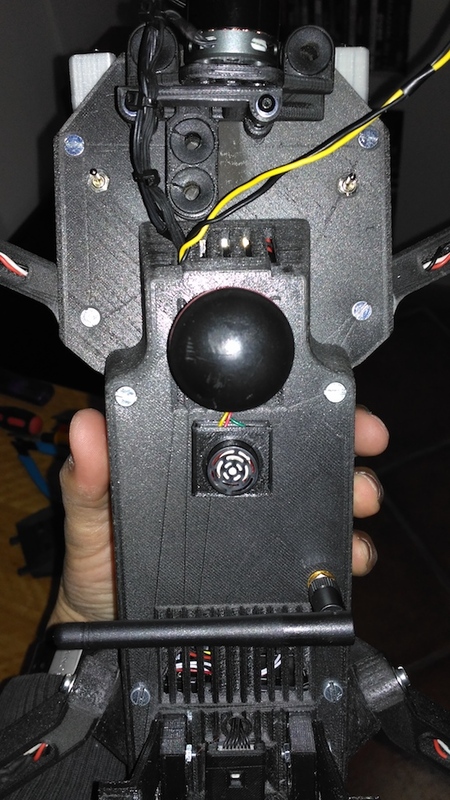 I've have just found this wonderful website and having just finished building my TAZ 6 clone i would love to make this drone project my first. I am very impressed with your build and the attention to detail is amazing i must congratulate you . As i'm new to drones is there any chance you can list the electronic components you have used to build your drone and maybe the wiring layout. Your TAZ 6 clone should do this project very well. Please read the threads, especially from CDRSkull, where you will find all the information you require, and many different options that people have tried. Because there are so many variations it would be difficult to give you a list so you need to read them and decide which way you want to go. The most popular choice is Black Widow motors and either Naza of F3 flight controllers. We would like you to start a build log for the benefit of all. The build logs from others will be very useful to you. Everyone on here is very helpful so please ask any questions. Thanks! My mavic it's flying! I have used the electronics from my previous build. I like the arducopter software, so I use the pixhawk, but there is others flight controllers with the same software but smaller. With arducopter you can have telemetry in your phone and in your fpv monitor. You have lots of flight modes, follow me, autonomous flights, etc, for me it's the best software for who want a little more from a standard drone. 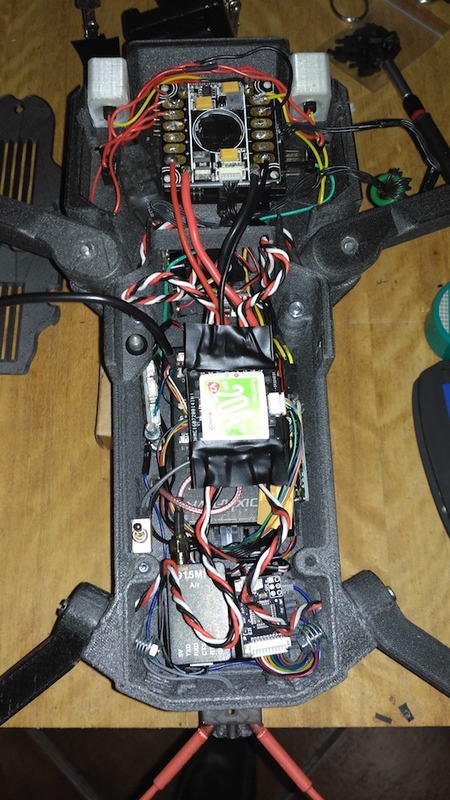 The wiring is in the wiki arducopter, you only need to adapt.. Thanks guys i will have a good read . 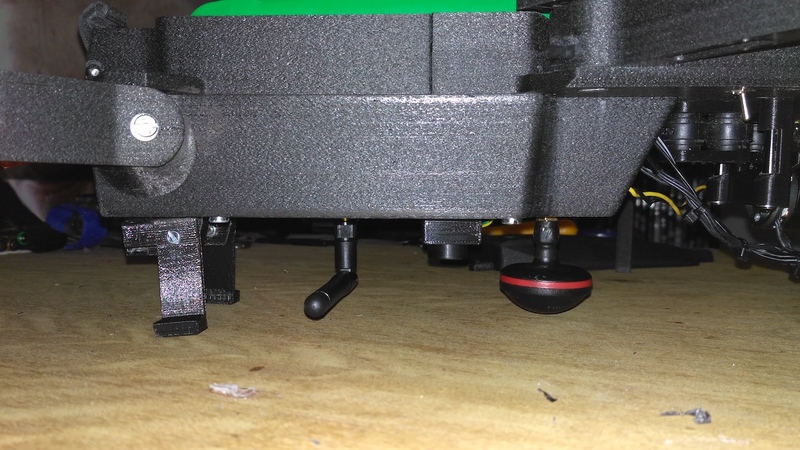 When you scale it, does it not cause the motor mounting holes to be off from the motors? I just finished printing the original but am finding it hard to fit my electronics so was looking at scaling to allow me to use everything I already have, but thought by scaling up the motors would no longer fit. What did you do to make the motors fit?